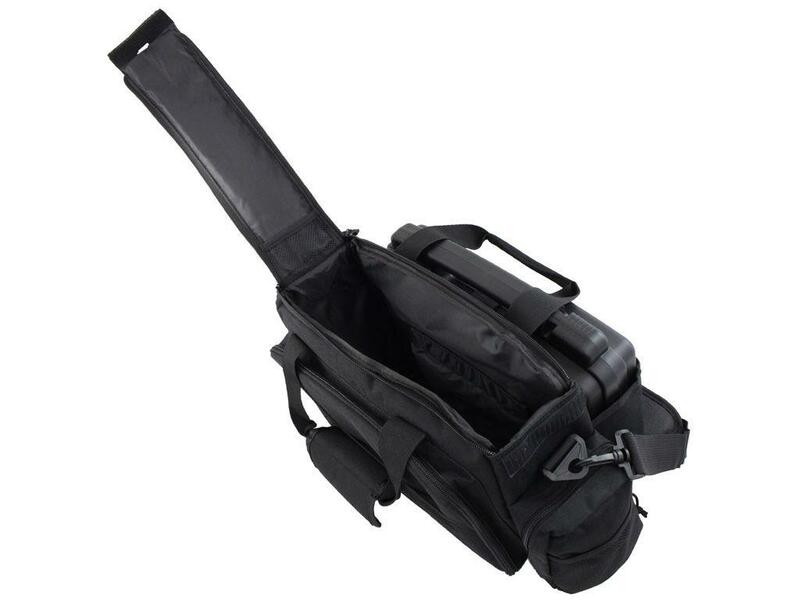 Flambeau Range Bag Pistol Case Combo | ReplicaAirguns.ca | New Website! Comments: This Flambeau range bag is a total target practice package. 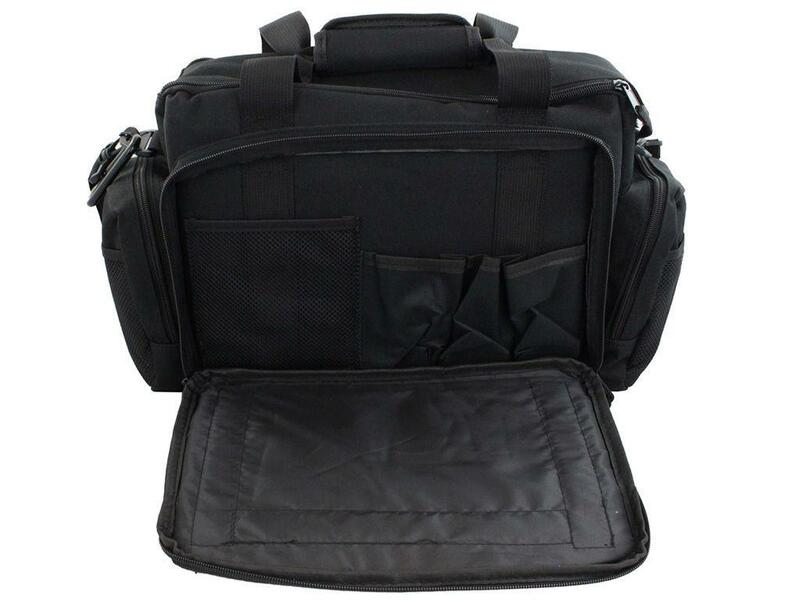 This versatile tactical pack has 4 compartments, as well as an integrated sleeve to store the included Safe Shot Pistol Case. The rear panel has integrated magazine pouches as well as a magnetic strip to catch loose hardware and small tools. 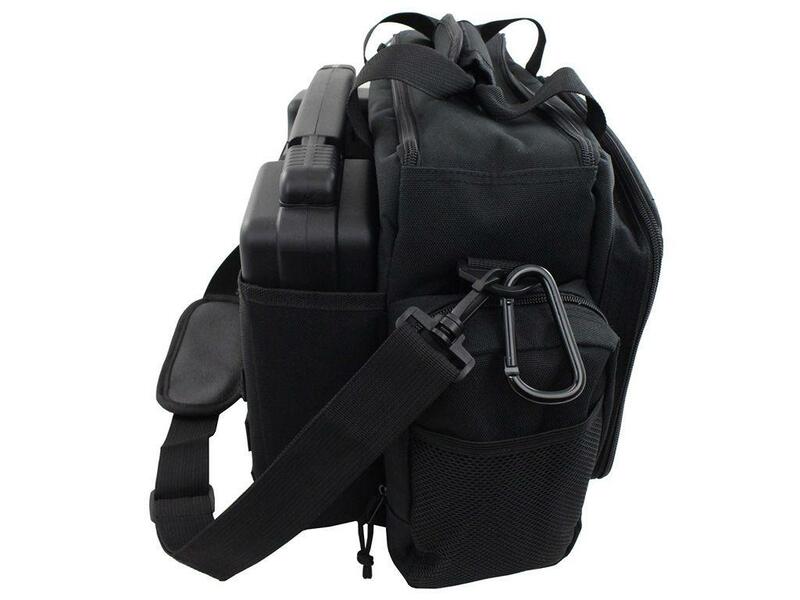 Its compact size and padded shoulder strap makes transporting all your shooting gear comfortable and easy.